Christ Centered. Purpose Balanced. Mission Driven. 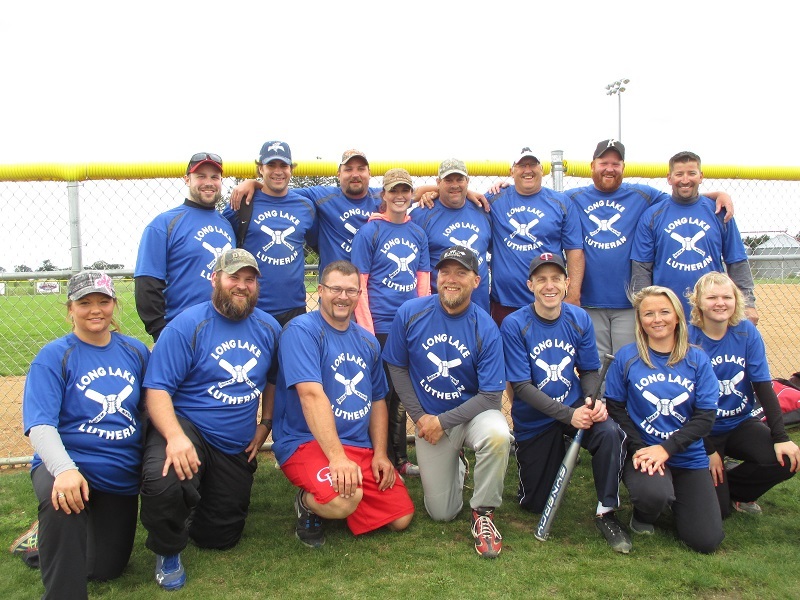 Churches around Long Lake Lutheran have been involved with the Dalbo Area Ministerial Softball League for a number of years. This ecumenical softball league allows congregations to be in fellowship with one another in a fun, and family-friendly way. Games are Tuesday evenings at 7:00 pm around the county. Home games are played at the BJ Johnson and Missy Morey Memorial Field on the east side of the church property. Adult Softball is open to anyone 16 years or older. Anyone interested in joining us in serving Christ is welcomed to join us in the softball ministry. You need not be an athletic superstar, just interested in playing softball. Spectators are always welcome at all games! Please contact us or Jamie Schurbon (763) 444-1664 with questions.